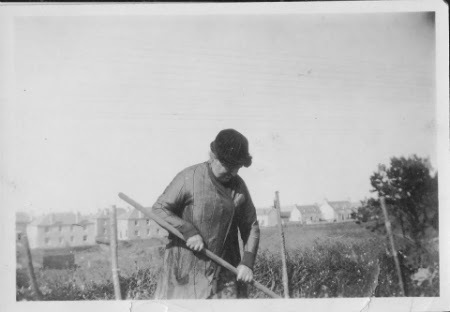 Thanks to Louise Strath for permission to use this image of her great, great grandmother, Isabella Grant, working her plot on Broadhill. Louise is not sure when it was taken but believes it is in the vicinity of 27 MacRae Avenue. She says that besides growing vegetables the family kept bees there. Louise also posted this image on the Nairn when you were a bairn facebook site and some of the bairnites think it was probably taken in the late twenties or early thirties.